As we have since July 2006, each Friday we’ll post our sampling of cigar news and other items of interest from the week. Below is our latest, which is the 531st in the series. 1) On Monday, we learned a “strategic alliance agreement” was struck that makes tobacco giant Altadis the distributor for Boutique Blends Cigars. As part of the agreement, Rafael Nodal has accepted a position within Altadis, and the Boutique Blends brands—including Aging Room, Swag, La Bohéme, and Oliveros—will now be sold through Altadis. 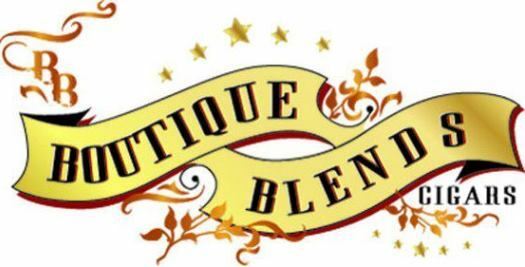 Cigar Aficionado reports that “Boutique Blends dismissed its sales force (made up primarily of independent contractors) and is in the midst of moving inventory from its Miami warehouse to Altadis’ in Tampa.” In his new position, Nodal will continue to oversee his own brands, as well as help with project development for other brands within the Altadis portfolio. 2) After success in the European market, Maya Selva Cigars is bringing its new Colección Aniversario No. 20 series stateside, with shipping expected to begin in August. For vitolas will be available with retail prices ranging from $9 to $14.50. The featured tobaccos include a Habano Jamastran wrapper, dual binders from Olancho and Azacualpa, and various Honduran fillers. The Colección Aniversario No. 20 originally debuted in Paris in June 2016. 3) DC Grays, an organization dedicated to promoting baseball in the nation’s capital, is hosting its annual “Cigars and Curveballs” fundraiser Monday. The event, hosted by radio host and Washington Times sports writer Thom Loverro, will take place at Shelly’s Back Room, a popular cigar hangout near the White House. 4) Inside the Industry: Davidoff’s Avo brand is expanding its Avo Syncro line with a new blend called South America Ritmo, a cigar featuring tobaccos from seven different countries. The cigar uses an Ecuadorian wrapper, Mexican binder, and filler from Nicaragua, Peru, Honduras, the Dominican Republic, and Brazil. The cigar, which will ship later this month, comes in four box-pressed sizes with prices ranging from $10.90 to $13.90. It is rolled in the Dominican Republic. 5) From the Archives: For a decade, we’ve been periodically recommending Gold Star Smokes, cigars we feel are especially worthy of your dollars and attention. Take a step back in time to find our very first choices here. 6) Deal of the Week: Gurkha fans will want to jump on this deal on the Heritage line. All boxes are discounted 25-40% for a limited time.